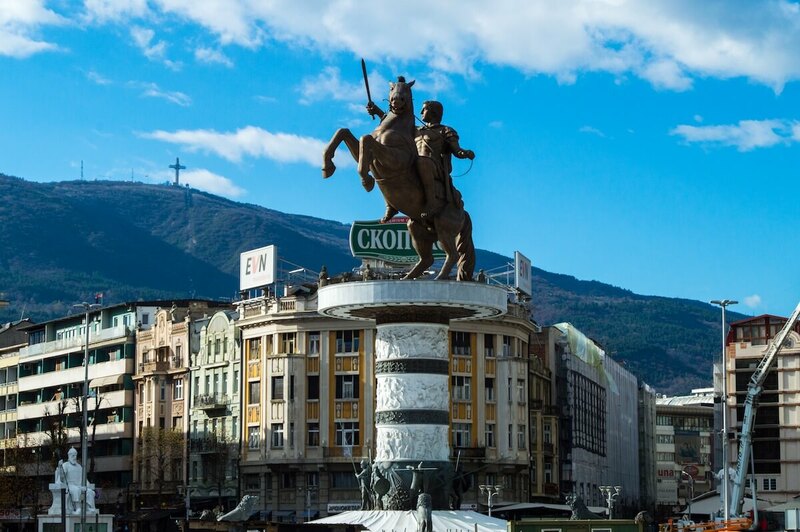 Across the stone bridge of Macedonia’s capital Skopkje, you shall find the controversial statue of a warrior on a horse that has been the cause of an ongoing political and diplomatic battle with Greece. You see, said warrior is no other than Alexander the Great and the Greeks do not agree with the way Macedonia has used him as their own national symbol. “But Raphael, wasn’t Alexander the Great actually from Macedonia? His father is known as Philip II of Macedonia after all!” well, the complete story is more complicated than that. Here’s a journey across time dating back to Hellenistic times and leading all the way to the present. During Hellenistic times, there was no country called Macedonia (or Greece for that matter). Instead, there were many different Kingdoms that shared the Hellenistic culture and costumes, one of them being the Kingdom of Macedon which lasted from the 8th Century BC to the 4th Century BC with the death of Alexander the Great at which point the Kingdom stretched all the way to Asia and compassed most of modern day Greece. After Alexander died without an heir, the Kingdom was separated in many regions, including what became known as the geographical region of Macedonia (which is now scattered in parts of modern day Greece, Macedonia, Albania, Bulgaria and Serbia). Eventually, the remains of the Kingdom of Macedon were annexed into the Roman Empire in the 2nd Century BC. So far so good? Then be prepared because things are about to get complicated. In the 7th Century AC, the Slavs (a different ethnic group from the Greeks) started to invade the Balkans and occupied part of Macedonia. However, they were eventually subdued by the then-ruling Byzantine Empire. Then, Macedonia changed hands from the Byzantines to the Ottomans in the 14th Century and so it remained for a long time afterwards. It wasn’t until the First Balkan War of the 20th Century that the Ottoman influence in the Balkans began to weaken and so the newly formed country of unified Greece tried to claim the entire region of Macedonia as its own. However, the rest of the Balkan nation-states weren’t happy to oblige and so (after the Second Balkan War) Macedonia was eventually split into Serbian Macedonia, Greek Macedonia and Bulgaria Macedonia. Am I the only with a headache? Trust me, it gets worse. Eventually, the Balkan countries teamed up and became the Kingdom of Yugoslavia (today part of Slovenia, Bosnia, Croatia, Montenegro, Serbia, Kosovo and Macedonia) in 1918 and remained united as such under different governments (including a Soviet Republic after WWII) until they finally divided into separate nations in 1991. The Slavs inhabitants of what was known as Serbian Macedonia then decided to name their new country “The Republic of Macedonia” and to use Alexander the Great and the Vergina Sun as their national symbols in order to create a sense of cultural belonging and heritage to their new country. As you can imagine, Greece was far from being pleased. Oh oh. Macedonia or FYROM? Does it even matters? A name is one of the most powerful aspects when it comes to cultural identity and world politics since it is the defining aspect of a country. As a Latin person, I can totally understand the anger of my people when USA Citizens call themselves “American” while ignoring the fact that Latins (and Canadians for that matter) are “American” as well. That’s why I kind of relate to Greece’s claim about how the Republic of Macedonia (which according to Greeks and international law has the official name of FYROM: Former Yugoslavic Republic of Macedonia) is stealing part of the cultural identity of Greece since ethnic Macedonians from Greece are proud to call themselves “Macedonians” and refuse to share the same name with ethnic Slavs from the Republic of Macedonia. But how about empathizing with the Slavs of the Republic of Macedonia? Can you imagine being born to a country whose national and cultural identities date back only to a few decades ago? 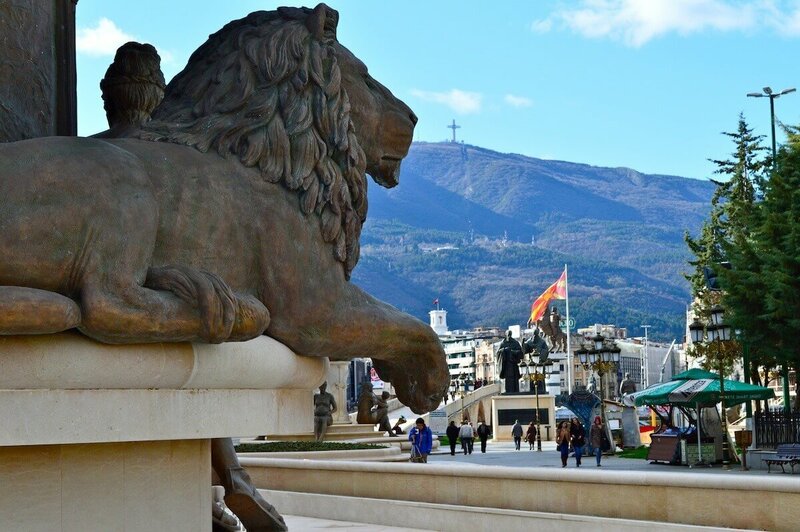 The Republic of Macedonia is a new nation born in 1991 with borrowed heritage from Greece, Turkey and Serbia and instead of arguing about names, I think that the world should learn to love Macedonia for what it is and not for what it should be. 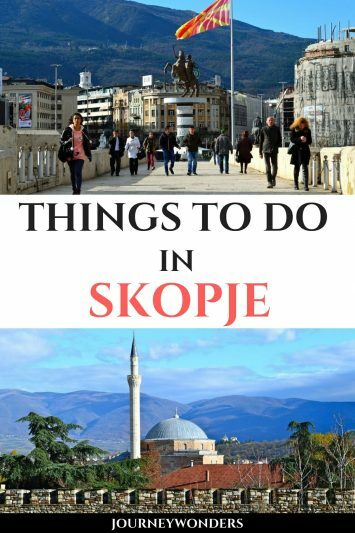 Skopje, for example, is a vibrant city with some of the most unique sculptures, majestic mountains and quirky buildings that I have ever seen in my life. Not only that but the people are kind, the food is amazing, the drinks are cheap and the architecture is simply out of this world. 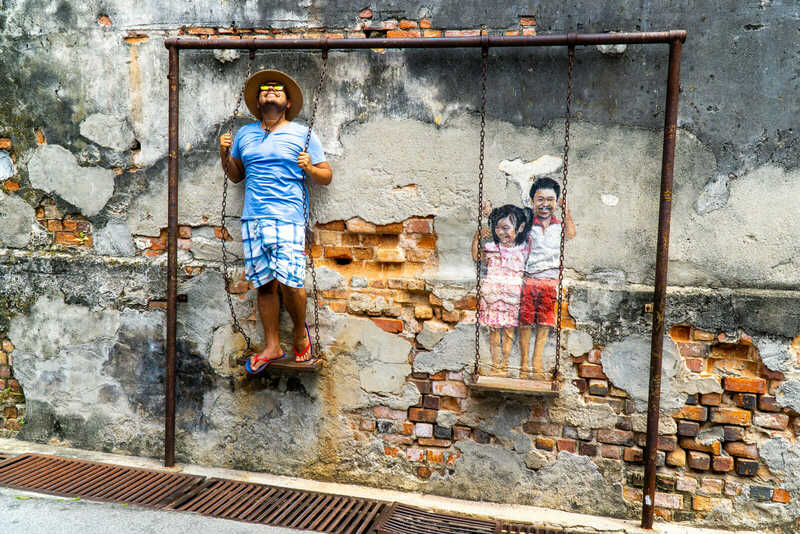 Why focus on the negative when we can just learn to love diversity and embrace the positive? In the end, it doesn’t really matters what the outside world wants to call the Republic of Macedonia, what matters is what the locals of the place want to call their own country. Walking alongside the stone bridge of Skopje I sat down underneath it and I wondered as time went by. I wondered about the struggles of the people of Macedonia in these 2,800 years of history. I wondered about the struggle of the people of the Balkans and their political situation in regards of the wealthier Western European nations. I wondered about life itself and about the name with whom I share my second name. What would Alexander the Great have thought of the situation? 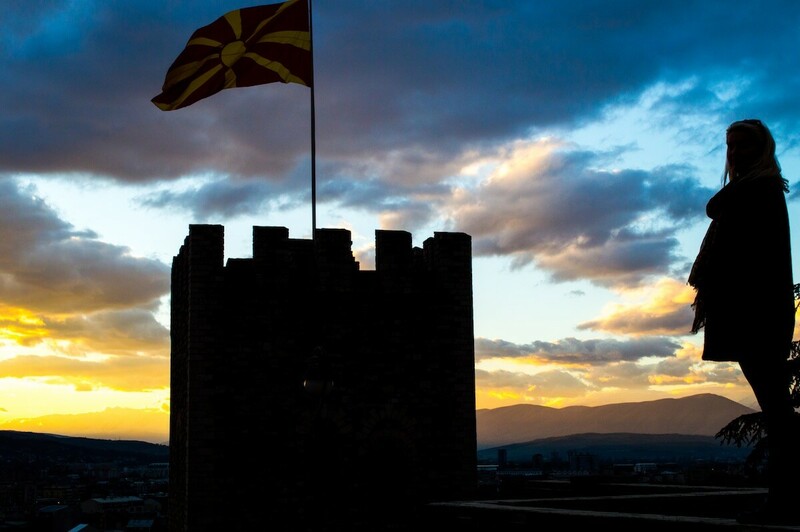 So many questions and yet, the answer is simple to me: During my travels, I fell in love with Macedonia. And trust me, you’ll soon fall in love with it too. So coincidental that you share this article at this time. My sixth grade students have been studying Ancient Greece in world history class, and we read about Phillip II and Alexander yesterday. Thanks for the information! This article isn’t bad but has several errors. 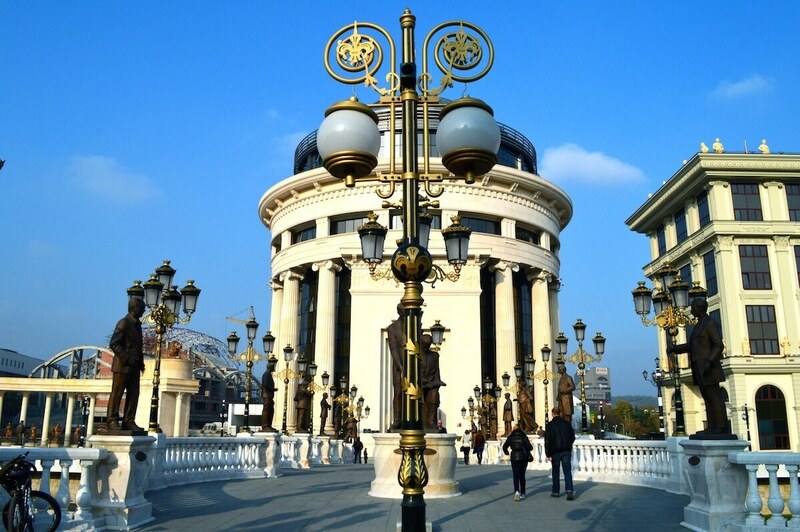 It is a widespread urban myth (perpetuated by the former Yugoslavians) that the former Yugoslav region is part of the ancient Kingdom of Macedonia. The original Macedonia (as in the one Alexander knew) is located in Greece. During the time of ancient Macedonians the former Yugoslav republic was known as Paeonia (Dardinia to the north). The former Yugoslavians are basing their modern identity on land that is literally in another country. Its not just about a name. It’s implicitly irredentist. Actual academics on ancient Macedonians. Bravo!!!! That is right. He admitted that they are not descendants of Alexander The Great and his Macedonians. The people of FYROM claim that they are in the Bible when it says in the Bible “Alexander The Great, king of Greece and his Macedonians”. So yeah it says in the Bible that he was the king of GREECE!!! This is no longer up for debate, that Macedon is Greek Kingdom, that Greeks live there continuously for >3 Millenniums, that Macedonians are Hellenic on this basis. Common-knowledge, that during the time of the Kingdom, Macedonians never met Slavs, never spoke Slavic and never lived in FYRoM. The message is clear then – FYRoM is not Macedon. FYRoM language is not Macedonian. FYRoM inhabitants are not Macedonians…Stop indulging them! Those who entertain FYRoM by calling the place Macedonia, by calling Yugoslavians, Macedonians, just prolong the longevity of the name dispute between FYRoM and Greece. No credible person of worth in the West, from politics, diplomacy or academia, elevates FYRoM’s self-determination rights above the rights of Macedonians wanting to keep as Greek as possible, the identity-characteristics of their regional-historical Haemus-Hellenic ancestors. Greece was and will always be a former MACEDONIAN state. The Greek people themselves saw the Macedonians as barbaric and different. Greek historians claim Aleksandar and Philip spoke a distinctly different language from Greek. Macedonia and its people have always existed, Greek lies should never be a catalyst for the truth. Universal truth should never be determined by mass appeal. Greeks are bigoted liars, Macedonia will reclaim its land. Why didnt you mention the Macedonians living in Greece and how they were forced into assimilation to hide the truth? Alexander the Great never met Slavs, never spoke Slavic, never lived in FYRoM. 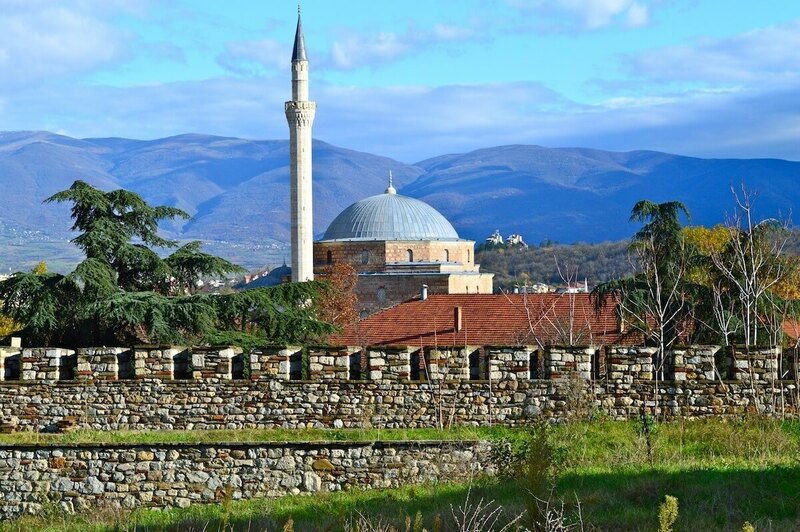 Macedonia the extended region is not exclusively Greek…just Macedon is. The ancient-Greek kingdom kept a Greek presence there continuously, for >3 Millenniums. Macedonians from Macedon deserve respect for preserving historical cohesion and keeping continuity. FYRoM contesting Macedons Hellenic credentials is the main obstacle keeping this newly established minor Slavic country from realizing it’s stated objectives to join the western worlds most prestigious economic and security structures of the EU and NATO. Macedon and Macedonians deserve respect for contributing massively towards early development of western civilizational principles. Macedonians from Macedon are responsible for Western civil societies common understandings of shared common heritage. 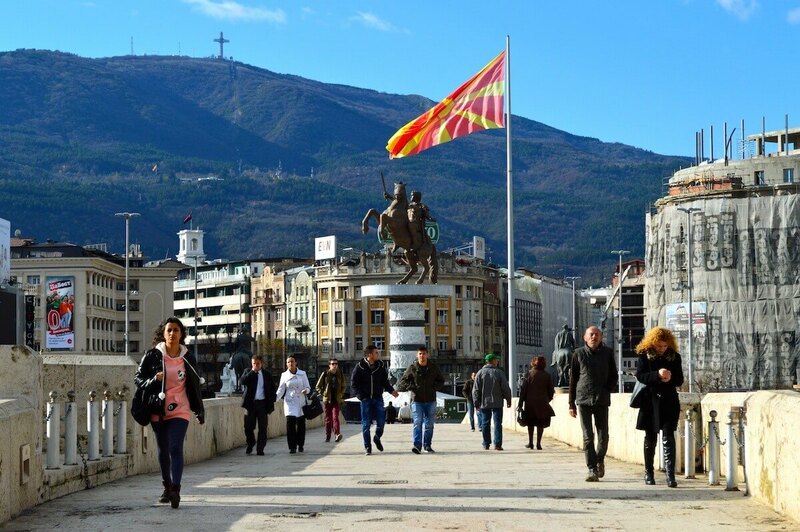 FYRoM touting for recognition under the name ‘Republic of Macedonia’ blurs the distinction between Macedonians and Yugoslavians, between Macedon and Paeonia…Hellenes from South-Slavs. Greeks understand that new emerging countries have right to name themselves by any name they like, but FYRoM chose a name that belongs to an ancient-Greek Kingdom, which Greeks hold dear, kick-starting off a name dispute with Greece that is now in the early years of it’s third decade. 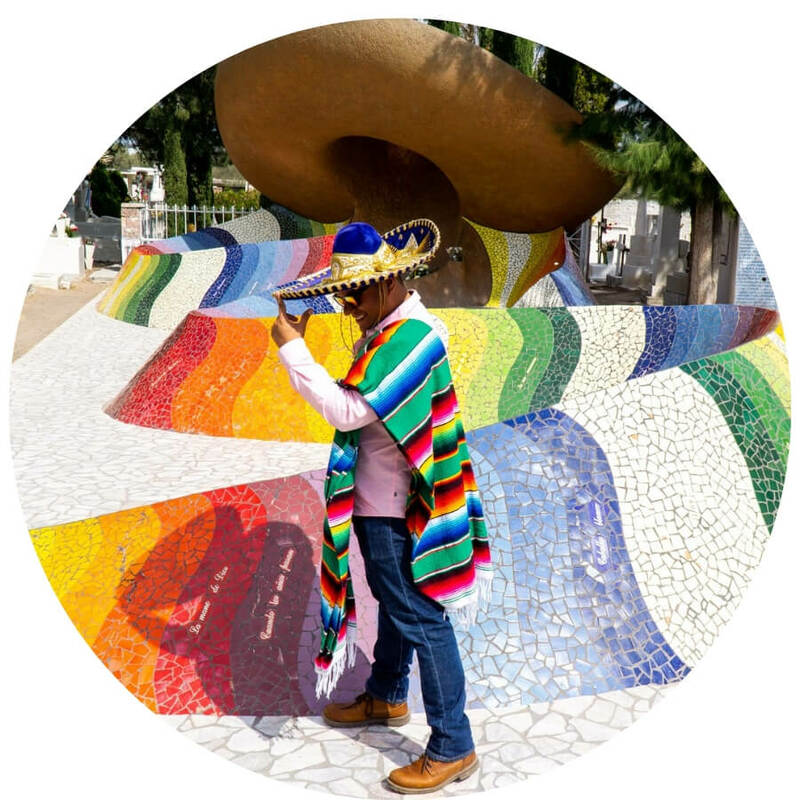 But the idea that newly emerging countries can name themselves by any name they like is not strictly entirely true, there are encumbrances, constraints and limitations…cultural-concerns for example, historical-considerations for another example, intellectual-property ownership for final example. persons intellectual-property, for final example. The idea that a newly emergent country can use the name of an ancient-Greek Kingdom for country-name…sovereign state-name, nationality, language and ethnicity poses very real important questions for the West which demand answers, (i) philosophical questions, (ii) moral ethical questions, (iii) cultural-historical questions, (iv) intellectual-property questions, (v) cultural-inheritance questions. The name dispute between FYRoM and Greece used up so much diplomatic time, so many political resources, covered so many academic disciplines, tested so many legalities, that it threatens to stay unresolved for indefinite period of time. FYRoM recognized like ‘Republic of Macedonia’ if legitimized, would put the Western worlds cultural-historical narrative into disrepute…hence, FYRoM cannot exist like ‘Republic of Macedonia’ on that basis. This year FYRoM is 24 years old and still trying to resolve a name-dispute who’s vintage is of same age. 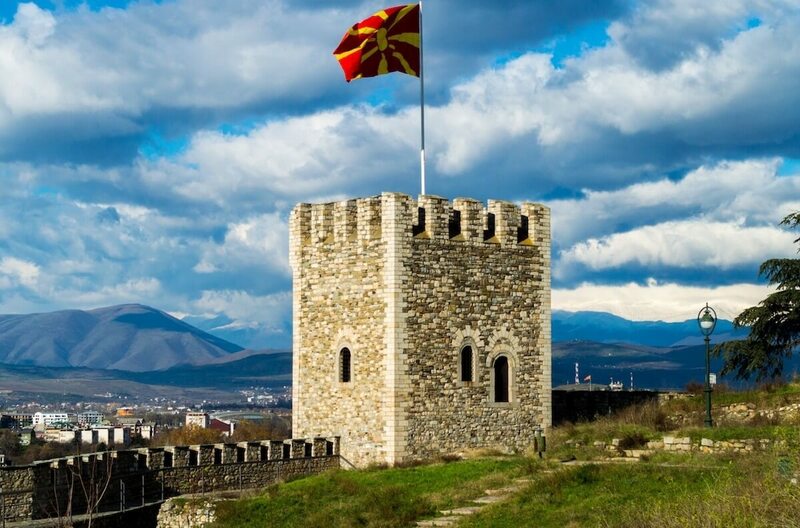 FYRoM is 24 year-old statelet that is still having problems persuading the UN, EU, USA, NATO and the International Academic Community to accept a recently-established minor Slavic country like ‘Republic of Macedonia’. FYRoM is 24 year-old newly-emergent entity somewhere between statelet and nation. National cohesion there has not quite ripened to maturity, enough to call it nation. Nation building there attempts to unify population-dynamic who’s demographic constitutes >3 different ethnic people-groups boasting >3 different but corresponding heritages. Majority Yugoslavs from Serbian and Bulgarian heritages attempt to build nation with Albanian, Turk, Vlach and other compatriots. Countrymen like these, boasting different, Slavic, Turkic, Albanian, Vlach and other heritages, cannot be expected to unite behind ancient-Greek Name, with Macedonian Identity, and with History, Heritage, Legacy to match. This is where FYRoM fails…in the Nation building arena. Nations are recent political constructs built from the ashes of long expired defunkt empires. Nation building is attempt to construct one same common unifying identity, hence, the state needs to come into existence before the nation. The apparatus of state therefore, becomes instrumental in this process. Nation building in FYRoM utilizes the apparatus of state to construct one national identity for Yugoslavs, Albanians, Turks, Vlachs and Others to unite behind. But national cohesion comes only when the constituent population-dynamic can recollect something from collective memory in remembrance of some great event from past history, something common that was shared and is still being celebrated today, in the present. The problem in FYRoM is this: The demographic there share nothing in history, no common themes or synergies – hence, Albanians, Vlachs, Turks and Gypsis cannot be expected to feel any sense of national belonging to the bigger wider Yugoslavic population-dynamic. The majority Yugoslavic population in FYRoM seek to unite the minority demographic there under one same common Macedonian identity. They have used the apparatus of state to build a national identity based on ancient-Greek themes and synergies. They use the name of an ancient-Greek Kingdom for country-name, for sovereign state-name, for nationality, for language and for ethnicity. And base their ethnogenesis story and subsequent history on the same. Everything in FYRoM is Macedonian orientated…and this is very problematic for the NoN-Slavic compatriots there. The majority Yugoslavians in FYRoM, whether they are Serb or Bulgarian in heritage, view each other that way. The Albanians view them that way too. Turks and Gypsis do the same. Basing national identity, national history, national symbols, on ancient-Greek themes and synergies is wrong way to go about nation building. And on this, FYRoM is like a child telling grown-ups what to do and how to do it. FYRoM is 24 years old this year. A newly emergent country. A child in terms of state. Not ripened yet…matured enough for nation. To build a nation you have to do what Alexander the Great did – unite fractious people-dynamic with one vision, under one directive, under one leadership that campaigns for common cause and the national good. Alexander the Great did all of this. 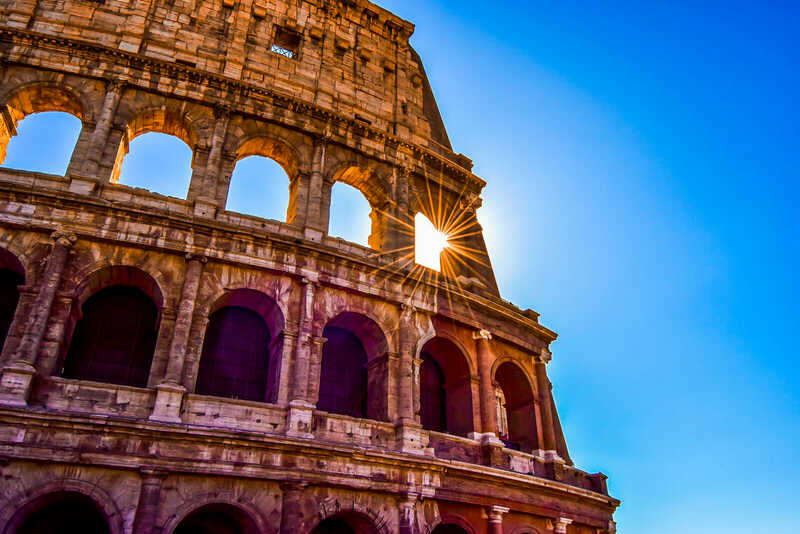 He united the fractious Greeks into one unified nation of Hellenes and then went on to export Hellenism, the Greek-language, culture and knowledge to the farthest easternmost reaches of the then known ancient-world. If FYRoM did what Alexander the Great did…Greeks would call Yugoslavians ‘Macedonians’ and view them like brother-peoples, a sister nation to Hellas. Very good information but Greece feel insulted when another country is using their history and saying that it belongs to them and not Greece. FYROM has insulted Greece and they claim that everything that they took belongs to them and not Greece. FYROM does not want to share it, they want to completely take it from Greece. They even claim the ancient language was theirs and not Greek. Greece feels insulted!!! 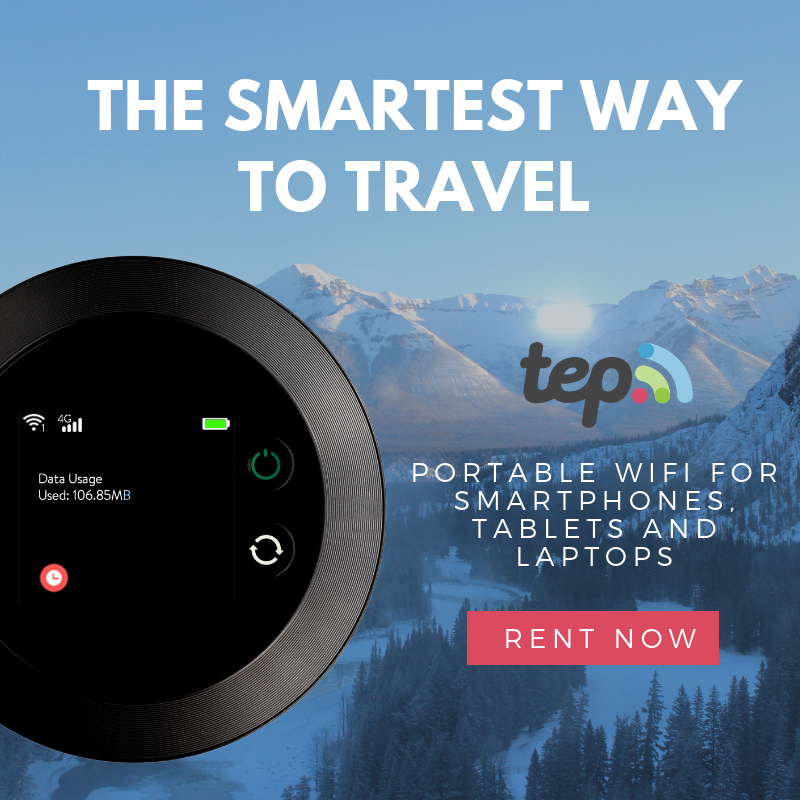 If you name yourself after whole geographic region you are (in fact) making bold statement – many bold statements, in fact! By choosing to name itself after whole geographic region, FYRoM is (unilaterally) making bold statements it cannot possibly live up to. Regardless the ramifications and consequences of their actions. FYRoM (unilaterally) chose to name itself after the whole geographic region of Macedonia. Without the consent of the regions native autochthonous inhabitants. FYRoM sits on 38% of geographic region of Macedonia. But chose (unilaterally) to name itself after the whole. The geographic region of Macedonia comprises of Greece 51% – FYRoM 38% – Bulgaria 11%. It is irrational for 38% to (unilaterally) claim the name of the whole. Lets all leave all of this politics aside Alexander the Great and the Greeks ONLY the GREEKS not any other ethic group, fought along side with Alexander to conquer the world Only the Greeks fought with him that is why He gave the name to Macedonia because of those Heroes the MACEDONES called at the time.and MACEDONIA will always belong to Greece.